I love sitting down and organizing my books, my writing journals, and my art supplies. This time, I found two blank journals for one of my novel projects and two blank journals with no designated project (oh, the freedom!). 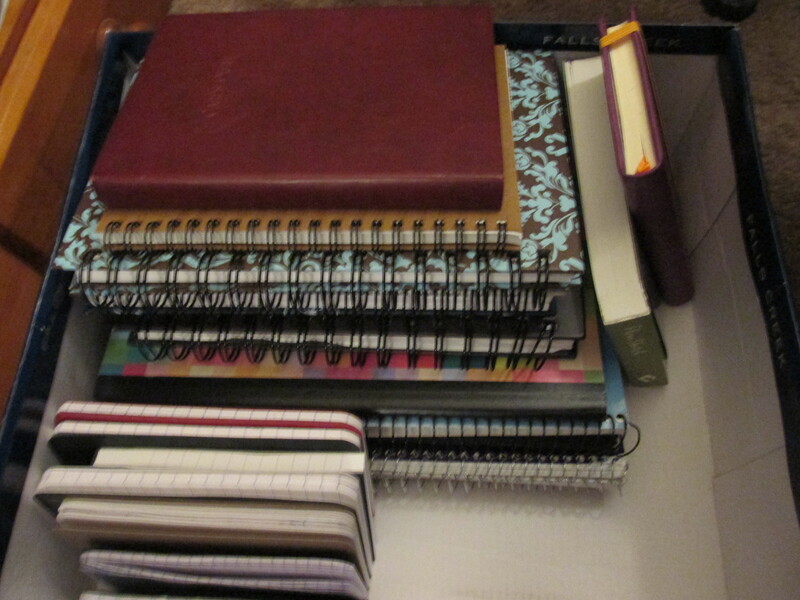 And there are plenty of notebooks that aren’t finished. So they will stay in this shoebox until they are complete. Most likely, they will contain fragments of fiction, since I want to write more fiction next year.